Brand-New Mazda CX-9 is the ultimate blend of stunning sophistication and family SUV. 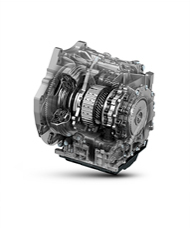 It’s the very first Mazda to feature the breakthrough SKYACTIV-G 2.5T petrol engine. Delivering class-leading performance with real-world efficiency, the turbocharged engine offers driving excitement never before felt in a seven-seat SUV. The shape cuts an elegant figure on the road thanks to ‘KODO – Soul of Motion’ design. The spacious interior is finished with quality craftsmanship in every detail. Add the latest in connectivity, passenger comforts and i-ACTIVSENSE safety technologies and you’ve got a seven-seater that brings together luxury with practicality your family will love, but you’ll love even more. Options might differ by regions. All information and illustrations are based on data available at the time of publication and subject to change without notice. Contact your local dealer for current information. Brand-New CX-9 delivers breakthrough performance with the newly-developed SKYACTIV-G 2.5T petrol engine bringing new levels of driving pleasure. The direct injection turbocharged engine provides more immediate power and torque for effortless acceleration and overtaking, even when towing and carrying loads. The smooth ride and athletic responses are further enhanced with the latest advances in SKYACTIV TECHNOLOGY, of which CX-9 boasts the full suite. The addition of intelligent i-ACTIV AWD monitors and even predicts road conditions. The innovative Dynamic Pressure Turbo adjusts boost pressure and airflow according to engine speed to overcome traditional problems such as turbo lag. SKYACTIV-G 2.5T 2.5 litre direct injection turbocharged petrol engine delivers an athletic driving performance that’s previously unheard of in a family SUV. With 420Nm of torque and 170kW of power achieved at lower RPM, this engine delivers a new level of smooth and immediate power. Features an expanded lock-up range for efficiency and direct feel. Drivers can switch between Sports Mode or manual shift for more hands-on input. The new-generation features an advanced body, making it lighter and more rigid than ever for superior handling. 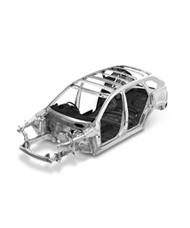 Increased use of high-tensile steel saves on weight while increasing strength. The exceptional new design also results in a quieter, more premium ride thanks to sound-absorbent materials, improved door seals and sound-insulating glass. Passengers experience a smooth, comfortable ride thanks to strut suspension in the front and multi-link suspension in the rear. The angle of the dampers has been optimised and solid rear bushings in the front have been replaced with a liquid variety that provides superior ratios of stiffness and compliance. These enhancements noticeably reduce the overall feeling of road vibration for optimum passenger comfort. i-ACTIVSENSE advanced safety technologies take confidence to the highest level. These intelligent systems are designed to help you recognise potential hazards, avoid collisions and to minimise the severity of accidents when they’re unavoidable. Mazda's Smart City Brake Support, or SCBS helps to prevent or soften the impact of low speed rear end collisions. Mazda’s Smart City Brake Support [Reverse], helps to prevent low speed collisions when you’re reversing. Mazda’s Driver Attention Alert can help improve the safety of longer distance journeys by monitoring your attentiveness. Mazda’s Adaptive LED Headlamps (or ALH) improve visibility at night, and prevent other drivers from being blinded by your headlamps. Mazda’s Lane-keep Assist System (or LAS) improves safety by helping you to stay within your lane. The system works in conjunction with Lane Departure Warning. By scanning external mirrors’ blind spots, this system warns of any obscured vehicles to help you avoid making hazardous lane changes. LED icon on the relevant mirror is accompanied by warning beeper. Makes night driving easier by reducing driver effort. Senses oncoming cars’ headlamps, or leading cars’ tail-lamps, and automatically switches from high to low beam, then back when it’s safe. Also selects low beam in lit areas or at low speed. A windscreen-mounted camera monitors road lane markings and provides an audible alert if you’re about to stray from your lane. Warning comes from speaker on the same side as the lane the system determines your vehicle may be deviating toward. Uses radar to monitor the car ahead, and automatically adjusts your speed to maintain a safe distance. Reduces driver effort by managing the accelerator and brake pedals. Both can still be used at any time, and the system can be switched on and off as needed. RCTA assists you when you’re reversing from a parking space, warning if a car is approaching from either side of your vehicle. LED icon on both mirrors is accompanied by warning beeper. By monitoring the distance to the vehicle in front and its speed, FOW senses if a collision is possible. It prompts you to take evasive action via a warning sound and visual alert. Also incorporates Smart Brake Support (SBS). If the system senses a high risk of impact, it applies initial pressure to the brakes to give you faster response should you brake. If you take evasive action the system de-activates. If no evasive action is taken, the brakes are applied automatically. Mazda CX-9 only. A camera mounted at the top of the windscreen monitors the distance to the vehicle in front and if a collision is possible, the driver is prompted to take evasive action via an audible warning and a visual alert.